Cooking, cleaning, gardening, colouring with the kids, working out… it seems that our pour hands can never take a break and rest. Since we use our hands to do most of the chores around the house, it is essential to also take care of them once we’ve finished with our work so that they can look nice and smooth. Generally, most women tend to spend the little free time that they have for pampering taking care of their skin and hair and often forget to give their hard-working hands some love. First impressions matter, and what many people tend to notice about a person after they look at their hair and face is their hands. When it comes to hand care, getting a manicure done once or twice a month is great, but that’s just not enough for your hands to be soft. For that very reason, in today’s blog post, I’ll share with you some simple beauty tips for hands that you can easily follow at home. Though your medicine cabinet may be full of lotions in different scents and formulas, natural hand creams are the most effective ones when it comes to avoiding chemicals and promoting healthy skin. So yes, by all means, go ahead and replace your chemical-packed hand lotions with natural hand creams that contain coconut oil, shea butter, or sweet almond oil. Apply the cream that you choose on your hands at least three times a day after you have washed them thoroughly and just relax. 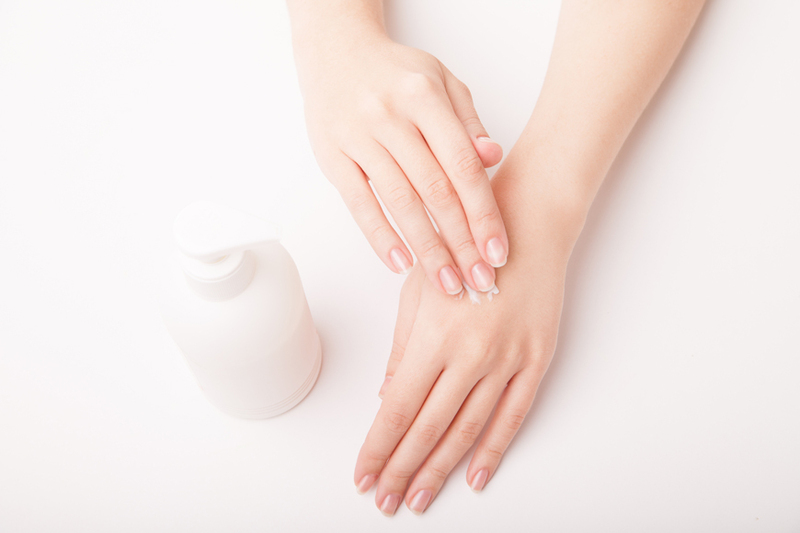 When applying, make sure to focus on the areas of your hands that experience lots of daily wear and tear, like your fingertips and cuticles. When you wash your hands, make sure to do that with lukewarm water all year round. If the water is too hot or too cold, it can damage your skin and make it red. And remember to never use dish soap to wash your hands because it is harsh on the skin and can also dry it easily. If your hands are really rough and peeling from using too many cleaning products, revitalize your skin with an all-natural scrub that will remove dead cells, improve circulation and promote a healthy glow of your skin. Look for sugar-based natural scrub options. Gently scrub your hands for a couple of minutes and wash them with lukewarm water, pat dry, and apply a natural moisturizer. When you are gardening, cleaning, washing the dishes or doing any chore that exposes your hands to chemicals, grease or dirt, ensure that you are wearing rubber gloves to protect your hands. At night, massage your hands at least five minutes to let the goodness of the hand cream soak in.